I hope your spring has been off to a great start and that you have been enjoying this great weather that the Lord has blessed us with! :) It's been raining here the last few days (for my non-TX supporters) and we have definitely been thankful for it. Needless to say, we've been busy! But it has all be for the kingdom and our students we serve. I attached some pictures below to show the different things we have going on. 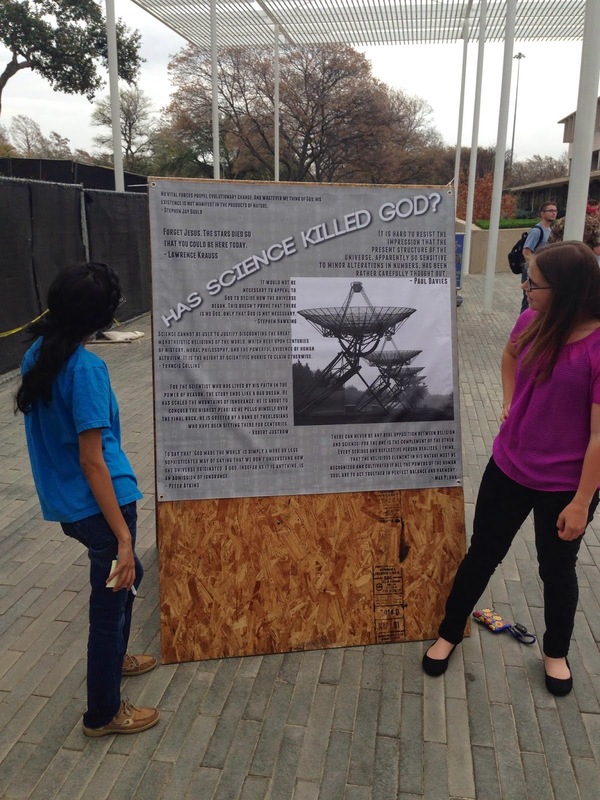 During SSI evangelism week we had displays set up to help us have spiritual conversations with students on campus! One of our interns, Autumn, giving announcements during our Friday Night FOCUS service. It was a great night! 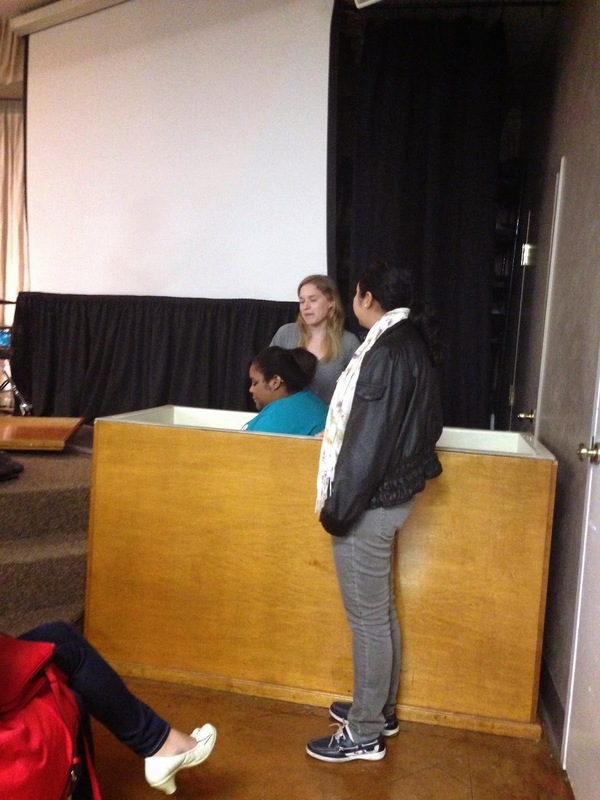 One of our students at UTD, Nikki, was baptized by Rachel Beckham, a student leader (and future 2014-15 FOCUS intern!). 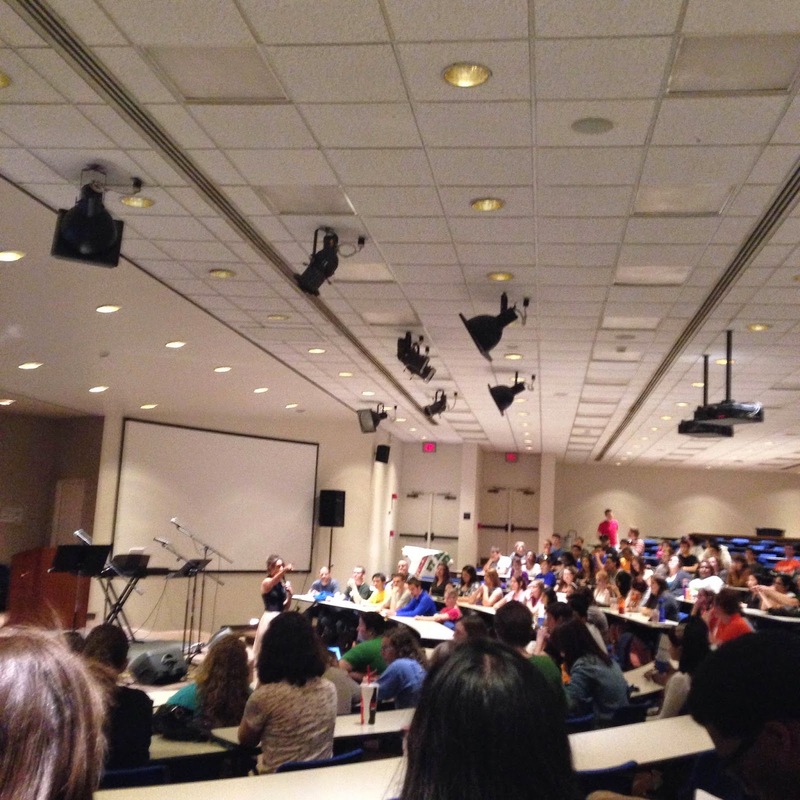 Thank you all again for being a part of what God is doing on his college campuses. 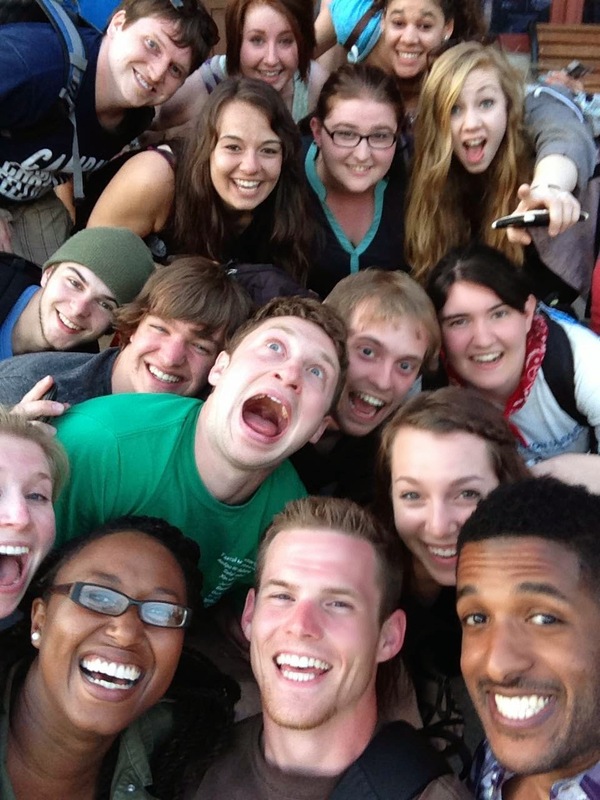 Your support has opened up the doors to many conversations, experieneces, and relationships through campus ministry in my life. I wish you all could be here to see everything your support is going towards but I hope that this blog is a resources to encourage you and remind you that gifts to the kingdom are never wasted! Please pray for us as a staff as we move into the summer and continue meeting with our students and developing relationships with future donors!